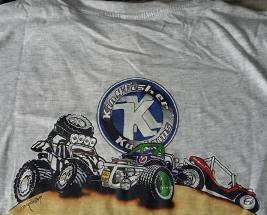 Welcome to Kingfisher Kustoms, the number one place on the web to get your air cooled performance products! Established in 1980 and still an independent, we at Kingfisher have dealt air-cooled VW parts all our 38 years so our knowledge is self explanatory. 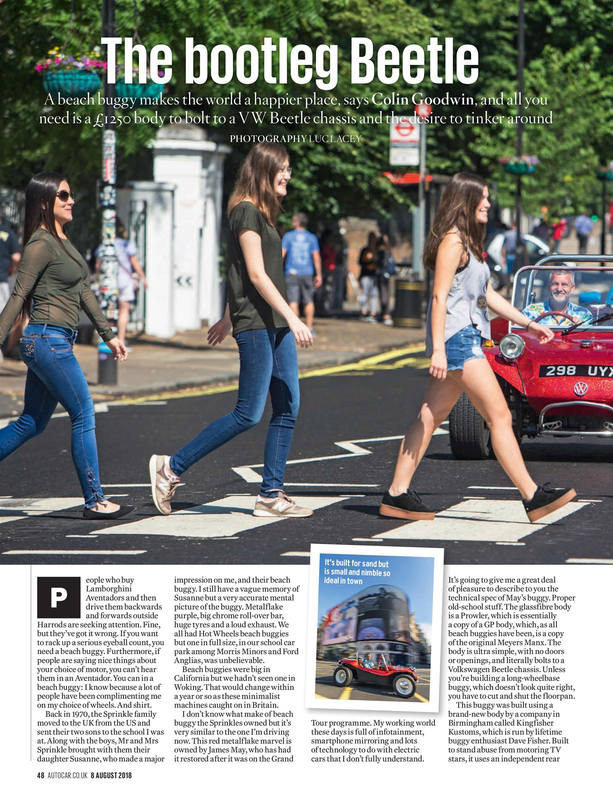 At the helm over all this time is Dave Fisher, who, along with his long serving staff will assist and advise you in all VW air-cooled matters. 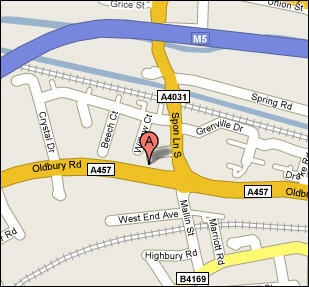 We also have a large workshop where we service, repair, MOT, restore and race prepare only air-cooled VW's. this gives us a product fitment knowledge second to none, we fit the parts we sell - a unique claim in the VW scene. The air-cooled scene has witnessed many changes since Kingfisher started with the demise of all the major air-cooled suppliers. The fact that we are the only survivors speaks volumes for our loyal customers and knowledgeable staff. Our stocks also cover our shop some item may have sold our during a transaction. 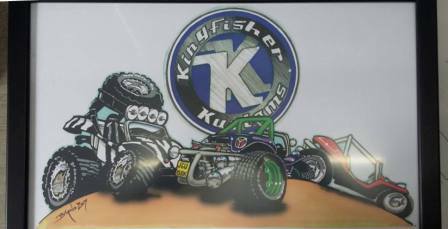 Following the incredible success of Kingfisher Kustoms’ collaboration with a very famous motoring programme hosted by Jeremy Clarkson, Richard Hammond and James May we have commissioned this piece of artwork depicting these very successful buggies in conquering the African Namibia dessert. I hope you enjoyed the two shows. Many thanks to the producers for including our name in the credits. 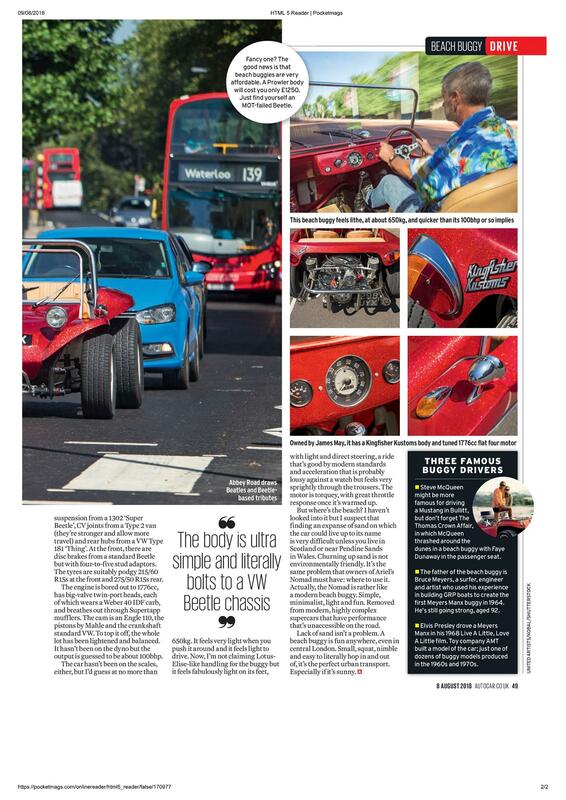 Restored for James May after his TV adventure. 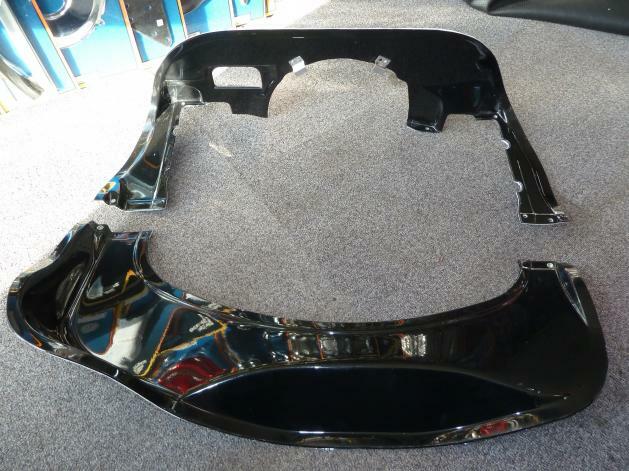 Heated Front Screen for Type 2 68>79, £230.00. Delivery on Beetle or 1303screen is £40.00 each. Type 2 screen is collection only. 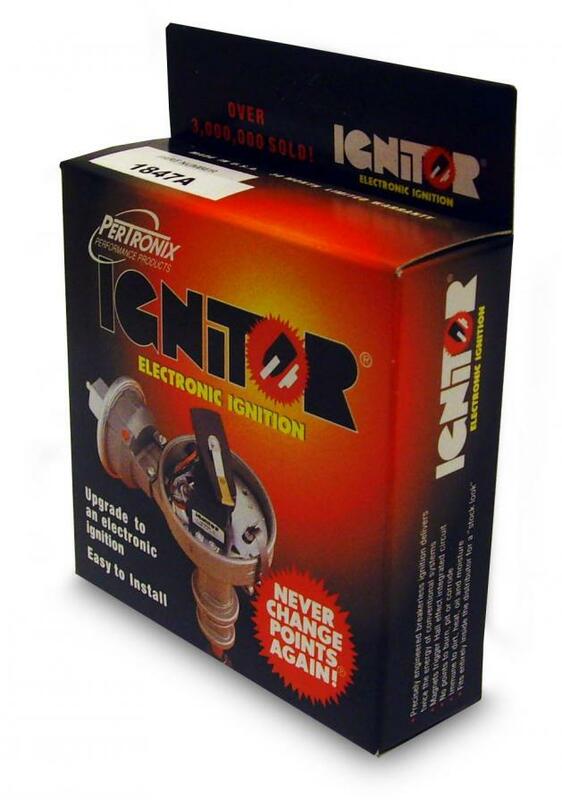 Pertronix electronic ignition kit for OO9 distributors or for distributors with vacuum...... be sure to order the correct one!